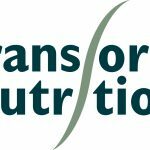 With August 2017 marking the end of Transform Nutrition’s first phase, the consortium recently convened research symposia in Kenya and Nepal, to discuss results from and next steps for East Africa and South Asia, respectively. 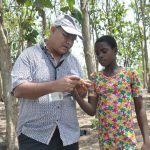 A team of African leaders from Burundi, Kenya, Tanzania, and Uganda under the East Africa Community (EAC) have endorsed IITA’s aflasafe—Africa’s first indigenous biocontrol product for control of aflatoxins. 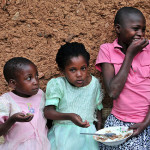 Through a collaboration between the Food and Agriculture Organization of the United Nations (FAO) and IFPRI, A4NH is excited to release three new publications from the findings of a joint study, Leveraging Agriculture for Nutrition in East Africa (LANEA).